If the buzz is to be believed, hospitality company OYO is readying to welcome yet another marquee investor on board - Airbnb - less than six months after it raised USD 1 billion from SoftBank, Sequoia and other existing investors to enter the unicorn club. Sources familiar with the matter told news portal The Information that the US-based travel giant is in discussions to invest USD 100 million to USD 200 million in OYO to meet its growth goals in India and China, and amplify its growing focus on the hotel business. In both these markets, among the fastest-growing globally, Airbnb has a relatively small presence. Among the company's more than six million listings globally, reportedly around 5% are in China and less than 1% are in India. Last month, Airbnb co-founder and Chief Strategy Officer Nathan Blecharczyk told PTI that "India is an important business opportunity for Aibnb as it has a huge population and a huge number of millennials, young people". He added that business travel is another focus area for the online accommodation platform in India. "Currently, we have about 6,500 companies in India who have signed with Airbnb for business travel. So, there is a lot of traction here," said Blecharczyk. In fact, Airbnb, which is planning to go public by next year, has been making some aggressive moves lately to expand its lodging offerings beyond home rentals for tourists, for which the company is famous. Its recent investment in hotel booking startup HotelTonight for more than USD 400 million is a case in point. The aim, reportedly, is to tap business travellers, who often prefer to stay in hotels and are willing to spend more on travel. In addition, in December, Airbnb acquired a small French property management startup called Luckey Homes as well as a small stake in The Wing, a startup focused on co-working spaces and social clubs for women. That, again, points to its expanding focus beyond tourists and backpackers. And that's where OYO fits in neatly, given its presence in over 259 cities in India with over 8,700 buildings (hotels and homes) and more than 173,000 rooms. In total, OYO's footprint spans more than 500 cities across China, Malaysia, Nepal, the UK, UAE, Indonesia, Saudi Arabia, Philippines, and more recently Japan. Last week, the Gurugram-based startup announced that it will invest Rs 1,400 crore in its India and South Asia businesses over 2019 as a part of efforts to increase infrastructure, strengthen technology and internal capability. OYO also announced the launch of a new brand, Collection O hotels, targeting millennials. This expands its existing portfolio of the budget- to mid-segment hotel chain brands. Hence, an investment in OYO would enable Airbnb to link up with a company that aims to become the world's largest hotel chain in the near future. "We will have one million rooms inventory into our fold in the near distant future. I think, it should happen in a year and a half," OYO India and South Asia CEO Aditya Ghosh told PTI in January, adding that this would help OYO to become the "world's top player from number three now". 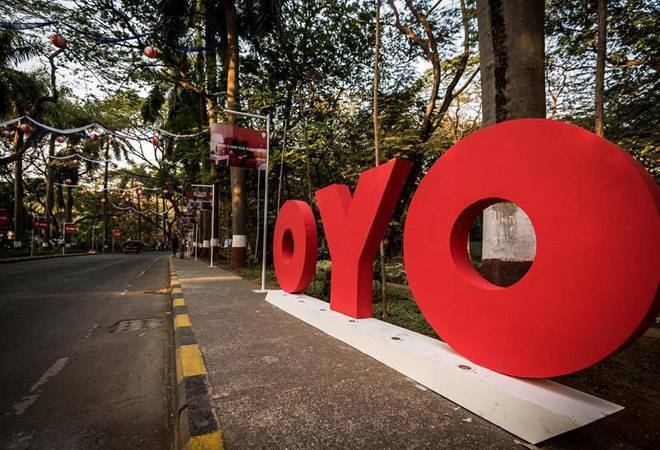 OYO, furthermore, is also narrowing its losses as a percentage of realised value (OYO Hotels' sales run rate) year-on-year from 44.5% in 2016-17 to 20.3% in the following year and 10% in 2018-19. The report added that while OYO currently markets rooms through Airbnb competitors such as Booking.com, TripAdvisor and Agoda, it isn't clear if the proposed terms of Airbnb's investment would ensure exclusive access to OYO inventory through its site. Also, according to the sources, the deal in the works could fall apart due to tax-related complexities for Airbnb in terms of investing in a foreign startup as well as the growing investor interest in OYO.